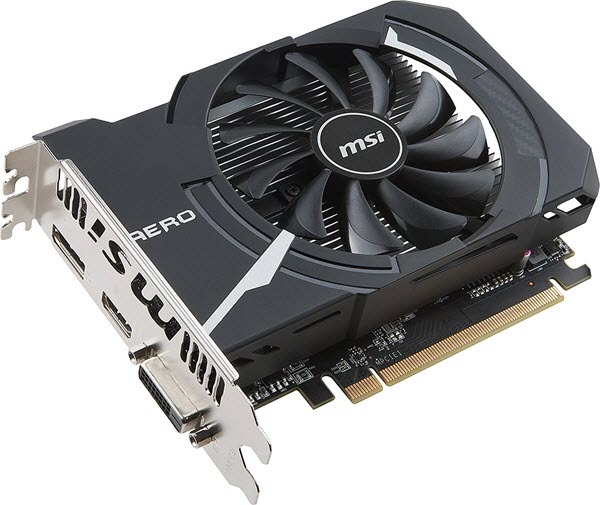 If you have a budget of 200 dollars then you can get a pretty good mid-range graphics card for your gaming PC. A graphics card under 200 dollar budget can let you play latest games on mid-high settings at 1080p resolution. You can play older games at highest settings on either 1080p or 1440p resolutions. 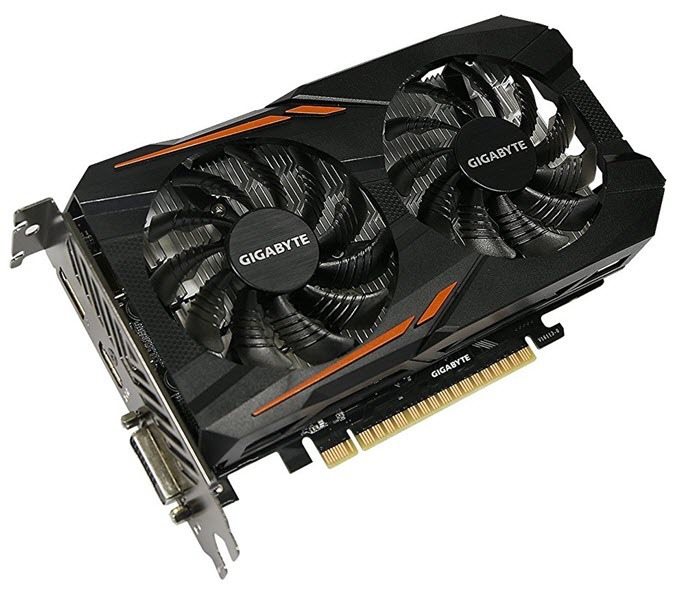 Graphics cards in the budget of $200 are very popular among mainstream gamers because they offer you the best performance and good gaming experience at an affordable price. If your budget is low then you can check out the best graphics cards under 100 dollars. 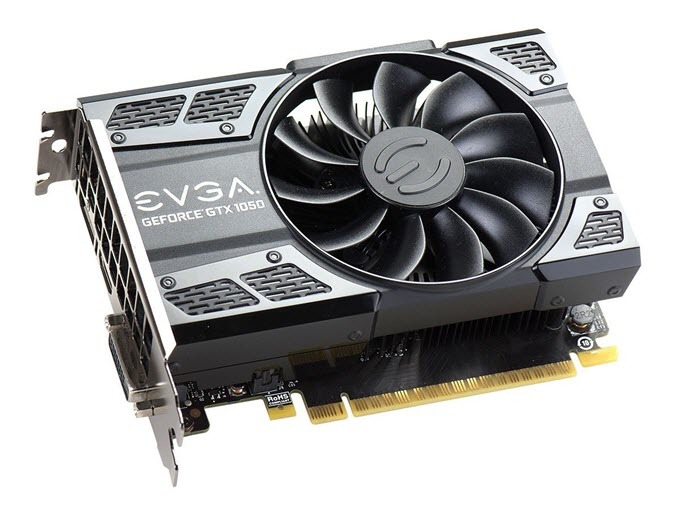 There are some very good performing gaming graphics cards under 200 dollars from both Nvidia and AMD. All these graphics cards are powerful and fully support DirectX 12, Vulkan and Windows 10 operating system. Here in this post I am going to list down the best graphics cards under $200 from Nvidia and AMD for your gaming PC. 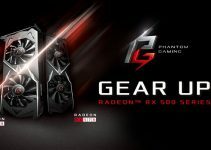 You can also check the list of best graphics cards under 300 dollars if your budget is a bit higher or if you are a bit short on money the do check out these graphics cards under 150 dollars. Here are the top and best video cards under 200 dollars from Nvidia for Gaming. All the below mentioned graphics cards supports DirectX 12, Vulkan, OpenGL and Windows 10 operating system. GeForce GTX 1050 is unarguably one of the best graphics cards to buy under 200 dollars. It is a budget mid-range graphics card and is based on the Pascal GPU architecture from Nvidia. It has got 640 CUDA Cores and comes with 2GB GDDR5 memory with bus width of 128-bit. On this card you can play most of the latest games on high graphics settings at 1080p resolution with respectable frame rates. Games like GTA5, Far cry 5 will have no problem running at high graphics settings at 1080p. The card supports G-Sync variable refresh rate technology to reduce screen tearing in games when used with a G-Sync supported monitor. Here we have Gigabyte GeForce GTX 1050 OC 2G which is an overclocked GTX 1050 graphics card and churns out better performance. The card comes with WINDFORCE 2X Cooling System with dual 80mm fans that keeps the temperature of the card under check even during intensive gaming sessions and overclocking. You can overclock this graphics card by One-click Super overclocking using Gigabyte’s XTREME engine utility. It can support up to 8K display @60Hz. The card is also low on power consumption and does not require any extra power connectors, and needs only a good 300W PSU for its proper working. Connectivity options include DVI, HDMI and DisplayPort. Highly Recommended if on strict budget. GeForce GTX 1050 Ti is a powerful GeForce 10 series mid-range graphics card from Nvidia. GTX 1050 Ti is based on the newer Pascal GPU architecture that ensures maximum performance with lower power consumption. 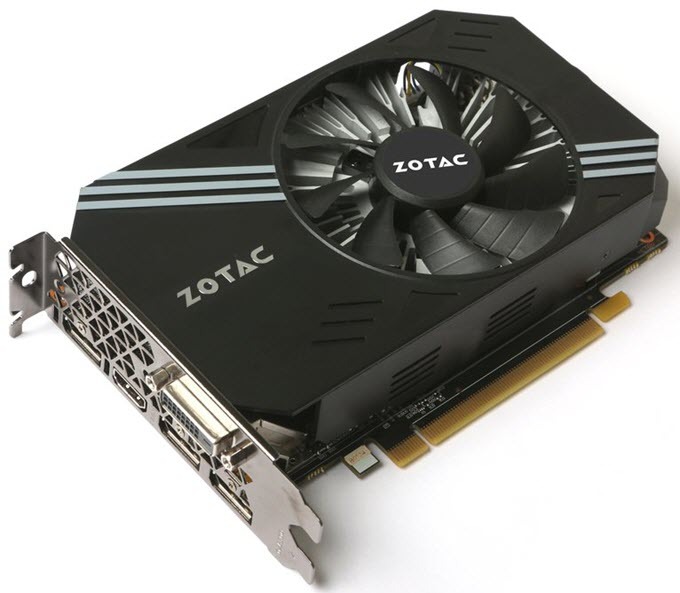 It is much more powerful than the older mid-range graphics cards such as GTX 750 Ti and GTX 950. 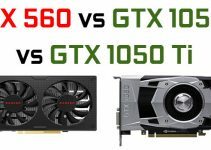 Both GTX 950 and GTX 1050 Ti have same number of 768 CUDA cores but the newer and better GPU Architecture in GTX 1050 Ti makes it a winner when it comes to performance in games and benchmarks. It is also around 25% (approx.) faster than the above mentioned GeForce GTX 1050 graphics card. Here we have EVGA GeForce GTX 1050 Ti SC GAMING that comes with 4GB GDDR5 memory. This is Superclocked Gaming edition of GTX 1050 Ti that offers extra performance than the reference design. It can let you play demanding latest games on high settings on 1080p at 60 FPS or higher. You can play games like Skyrim Ultra, Fallout 4, Overwatch, Saints Row the Third, Civilization 6, GTA 5 etc. on high settings at 1080p resolution. The card remains pretty silent even under full load and the big fan keeps the temperature under control. It is a small form factor graphics card and can fit in mini-ITX cases. So if you are looking for the best mid-range GPU under 200 dollars from Nvidia then you must go for this one. 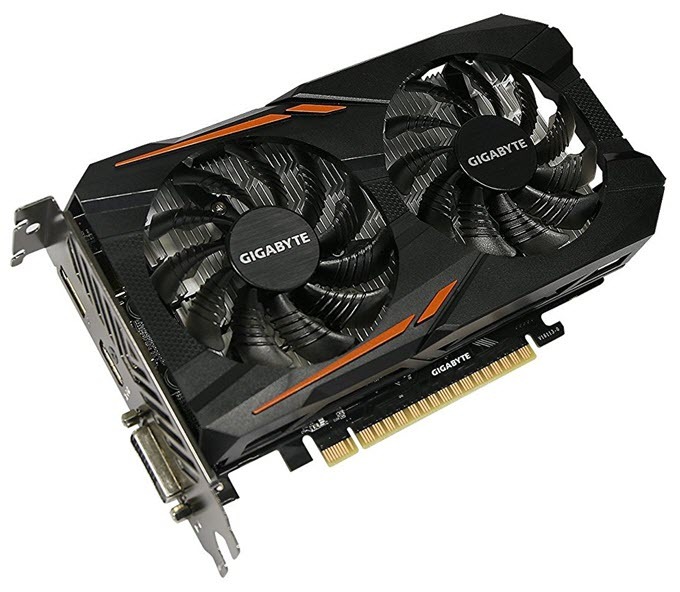 Another Geforce GTX 1050 Ti Card but it is from a different brand which is Gigabyte. It is an Overlocked version of GTX 1050 Ti and comes with 4GB GDDR5 VRAM. It has dual fans having WINDFORCE 2X with Blade Fan Design for efficient and faster cooling even at full load. The model number of the card is (GV-N105TOC-4GD). It requires 6-pin power connector and the power supply requirement is of 300W only. ZOTAC GeForce GTX 1060 Mini 3GB GDDR5 is the most powerful Nvidia graphics card that you can a tad above 200 dollars. GeForce GTX 1060 is a powerful higher mid-range graphics card based on the Pascal GPU architecture and is capable of running latest games on very high graphics settings at 1080p. It can also run modern games on 1440p resolution but you have to lower some of the graphics settings depending on how much resource hungry the game is. This is a VR ready graphics card which means it can run your Virtual Reality games and applications without any lag or issues and get best VR perfomance. 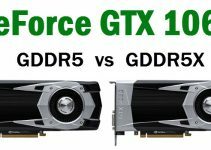 The 3GB variant of GeForce GTX 1060 is powerful than Radeon RX 470 and its performance is comparable to that of Radeon RX 480 graphics card. ZOTAC GeForce GTX 1060 Mini is a compact or small form factor (SFF) graphics card that comes with 1152 CUDA Cores and 3GB GDDR5 memory. Due to its compact size it can fit in mini-ITX and mini-tower cases perfectly. For cooling it comes with a single fan and an aluminum heatsink. The card has dual slot design and it requires a 6-pin PCIe power connector for its working. This Zotac GTX 1060 Mini graphics card has lower power consumption of 120W and it only requires a good 400W PSU for its working. It offers wide range of connectivity options that include three DisplayPorts, one HDMI and one DVI port. Highly Recommended by me. Here are the top and best graphics cards under 200 dollars from AMD for Gaming. All the below mentioned AMD Graphics cards supports latest DirectX 12, Vulkan, OpenGL APIs and Windows 10 OS. 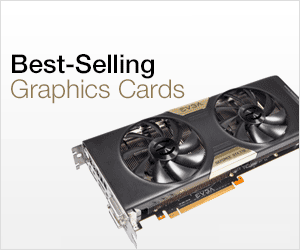 The Radeon RX series is the latest graphics card series from AMD. Radeon RX series cards from Radeon are based on the latest Polaris Architecture which just like Nvidia’s Pascal architecture offers great performance at lower power consumption. Both Pascal and Polaris use the latest FinFET process technology but technically their architecture is way different. Radeon RX 460 is a great value for money mid-range card that is faster than GT 750 Ti but a bit slower than the GTX 1050 Ti. The main advantage of Radeon RX 460 over GTX 1050 Ti is that is a way cheaper than GTX 1050 Ti and offers almost similar performance. Here we have Overclocked ASUS ROG STRIX Radeon RX 460 that comes with 4B GDDR5 memory. The graphics card is cooled by dual fans which keeps the temperature well under control. According to ASUS the DirectCU II with Patented Wing-Blade 0dB Fan Design provides 30% more cooling and 3X quieter performance. Other nifty features include Industry Only Auto-Extreme Technology with Super Alloy Power II and Aura RGB Lighting. The card comes with ASUS GPU Tweak II with XSplit Gamecaster for overclocking and to increase the performance further. 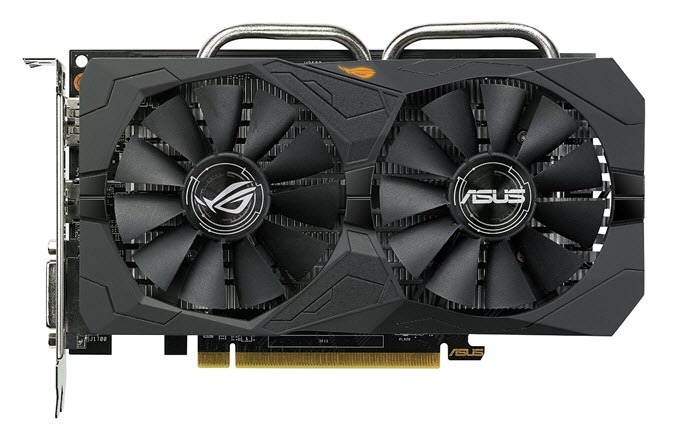 Exact model number of the card is STRIX-RX460-O4G-GAMING. So if you are looking for a good modern day mid-range graphics card from AMD then you cannot go wrong with this one. Radeon RX 560 is a powerful budget mid-range graphics card in the Radeon RX 500 graphics card series. It is the successor of the older Radeon RX 460 which is one of the best selling affordable mid-range graphics cards that offers great performance and excellent value for money. Radeon RX 560 comes with 1024 Stream Processors which is 128 more than present in Radeon RX 460. Higher Stream Processors and higher clock frequencies makes the performance of Radeon RX 560 considerably better than the older Radeon RX 460. Like Radeon RX 460, Radeon RX 560 is also based on the Polaris GPU architecture from AMD. The gaming performance of Radeon RX 560 is greater than GeForce GTX 1050 but is lesser than GeForce GTX 1050 Ti. 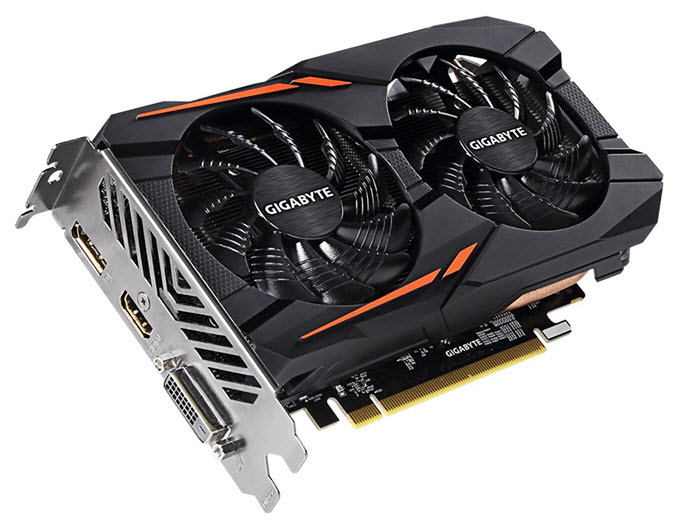 Here we have Gigabyte Radeon RX 560 Gaming OC 4G graphics card that comes with 4GB GDDR5 Memory and WINDFORCE 2X Cooling System having dual 80mm fans. This card is pretty silent and the cooling system works very efficiently in keeping the card’s temperature down. It is an overclocked Radeon RX 560 card which means it offers better performance than the reference RX 560. On this card you can play latest games on medium to high settings at 1080p at comfortable frame rates. The card requires one 6-pin power connector from the PSU and a good 400W PSU for its working. This is a compact Radeon RX 560 graphics card for use in small form factor (SFF) cases. This is a small yet powerful card and comes is as powerful as the bigger Radeon RX 560 graphics cards. The card is only 155mm long which makes it possible to fit in almost all the mini-ITX cases. Also due to its size this card is perfect for use in HTPC systems. The card is based on the Polaris GPU architecture and comes with 1024 Stream Processors and 4GB GDDR5 video memory. For cooling it comes with a single fan over an aluminum heatsink. The card comes slightly overclocked out of the box. It supports AMD FreeSync and multi-GPU CrossFire support (2-Way Bridgeless). It has lower power consumption and does not require 6-pin / 8-pin PCIe power connectors from the PSU. The recommend power supply for this card is 400W and it includes DVI, HDMI and DisplayPort for connectivity. Well at the end I would like say that I have listed down the best graphics cards under $200 from both NVIDIA and AMD. These graphics cards offer very good performance and you can really have an enjoyable gaming experience at 1080p @60 fps or higher in case of older games. If you have any queries or are confused on which graphics card to get under 200 dollars then you can ask me by leaving a comment below. I noticed the specs on the radeon rx 570 to be pretty high. They were almost unbelievable for under 200. I tried your link and it brings me to an nvidia 1050. I looked on newegg for that card and it shows up for $600. Pretty sure there was an oversight on that one. I am new to all this graphics stuff. I am use to letting the CPU handle the graphics. I have since began editing movies and transcoding video through my plex server. Which happens to be my laptop with an i5 5500U 16gb ram 1TB hard drive I also have a dedicated graphics card AMD Radeon R7 M270. I am still having a lot of trouble with the videos giving me transcoding errors or network is not fast enough. It also takes a long time to edit movies. I have since wired my whole network to make it faster. I about a year ago upgraded my router to a 1900ac. I turned on hardware accelerate in the Plex program. Sorry I felt you needed that information. I want to build a new AMD desktop server/pc. CPU Ryzen 2600x what video card would work best to help with the transcoding issues and also speed up my video editing and rendering?